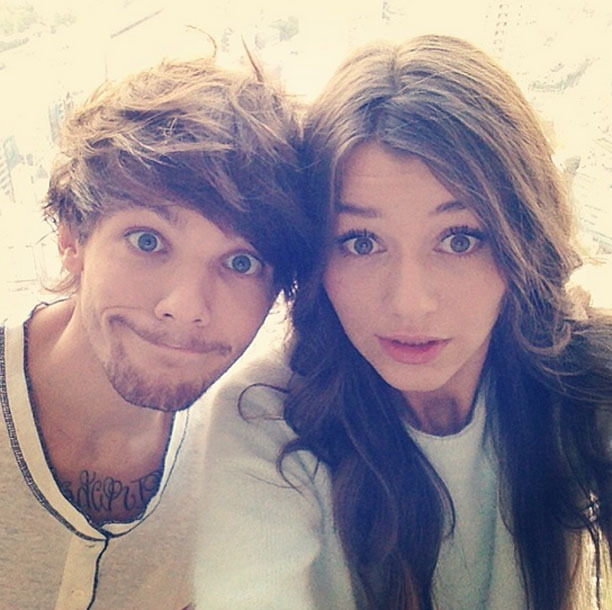 One Direction heartthrob Louis Tomlinson and long-time girlfriend Eleanor Calder called it quits earlier this month after rumors began swirling that Louis was spotted kissing another woman, and now Eleanor has grabbed the spotlight once again, this time showing off a brand-new arrow tattoo on her wrist. In an apparent attempt to get over the devastating breakup, Eleanor and two of her closets gal pals, Megan Murphy and Stephanie Lincoln, took a trip to Los Angeles a few weeks ago, and the 22-year-old decided to pay a visit to Body Art and Soul Tattoos for some new ink that we can only assume hints at a positive “new direction” in her life. For his part, Eleanor’s tattoo artist was obviously quite taken with the 22-year-old beauty, who had been dating Louis Tomlinson for four years prior to the break-up, and said, “Didn’t realize that I had the privilege of tattooing British royalty,” calling Eleanor “classy and gorgeous.” In addition to getting some new ink, Eleanor apparently had a great time in sunny Los Angeles, and captioned one of her many vacation pics: “I don’t ever want to leave!” We don’t blame her, considering the break-up drama that probably awaits her in Manchester, where she is a student at the University. What do you all think of Eleanor Calder’s arrow tattoo? ?